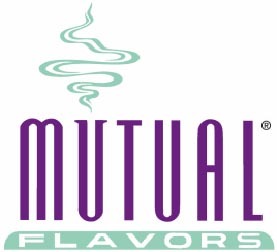 On April 1, 2016, (AMERICAN FRUITS AND FLAVORS, LLC) was formed, after the acquisition of American Fruits & Flavors’ divisions, Mutual Flavors and American Fruits Processors, by the Monster Energy Company. The new American Fruits and Flavors, LLC continues to operate a Juice Division and a Flavor Division. Our Juice Division, in Pacoima, CA (formerly known as American Fruit Processors), was created in 1972 to support the needs of the rapidly changing food and beverage industry worldwide. We have made our mark in the industry by processing the finest fruit juices, concentrates and producing blends of hundreds of unique fruit and flavor combinations. Our experience, technical expertise, and creativity in developing superior fruit products – along with the synergy added by Flavor Division in Los Angeles, CA; (formerly known as Mutual Flavors) a state-of-the-art, technologically advanced custom flavor producer – can help your company realize both greater sales potential and market share. CALIFORNIA FLAVOR LABS (CFL) was started in 1962 by its Founder, Fred Farago, to supply quality flavors to discerning food and beverage manufacturers in Southern California. In response to the demand for quality fruit based products CFL expanded into processing of fruits available in Central and Southern California. VITA JUICE CORP. (VJC), Los Angeles, was established in 1974 to meet the market demand for single strength fruit juices. As the quality of fruit concentrates improved the demand for single strength juices declined. WASHINGTON STATE JUICE (WSJ), Yakima, Washington, formerly known as SPEAS FARM was purchased from PILLSBURY in 1981 to process an abundance of fruit available in the Northwest. This facility was sold to NAKANO VINEGAR, USA in 1992.